Since 1962, Allpro Contracting and our Soutwest Chicago remodeling contractors have been providing the highest quality home improvement services to all of our customers. 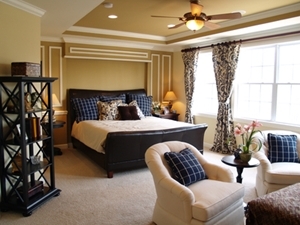 We specialize in all types of interior remodeling. If you want to customize your bathroom, kitchen, or basement to you and your family, our team is the best group of professionals and craftsmen for the job. Call Allpro Contracting today if you need to hire a professionally licensed interior remodeling contractor in Southwest Chicago. Our polite staff would be happy to take your call, to answer any of your questions, and to schedule your appointment today. If you are trying to make the most impactful change to your kitchen, you need to hire a professional that specializes in kitchen layout design. Our highly skilled contractors can guide you through the entire process. Our team can transform your cluttered and stuffy kitchen into a open floor plan, easy to use area. 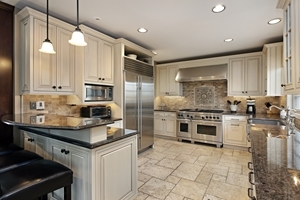 We can completely redesign the layout of your cabinets and countertops. No matter what changes you want to make, our experts have the skill to achieve your goals. The centerpiece of any bathroom is the vanity. This is the first thing that you notice when you enter the room, and it is the primary work space of the area. Our Southwest Chicago bathroom remodeling contractors can help you redesign your bathroom vanity so that it is customized to your exact needs. 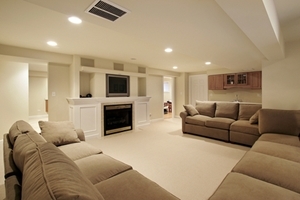 If you have an unfinished basement in your home, you have the perfect opportunity to customize a room specifically to you and your family. 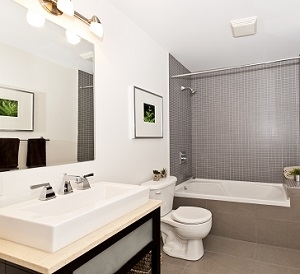 At Allpro Contracting, our Southwest Chicago remodeling contractors would be honored to assist you with the effort. We have the knowledge, skill, and experience necessary to help you achieve all of your goals. Throughout the entire effort, our professionals will be completely dedicated to your satisfaction. When you moved into your home, unless you built the property yourself, there were certain aspects of your residence that were designed for a different family. Likewise, if your living situation has changed over the years, your residence might not be as accommodating as it used to be. In either event, now is the time for you to consider customizing your home to you and your family’s unique needs. At Allpro Contracting, our Southwest Chicago whole-house remodeling contractors would be honored to assist you with the effort. If you would like an estimate for interior remodeling services in Southwest Chicago, please call 708-658-3500 or complete our online request form.